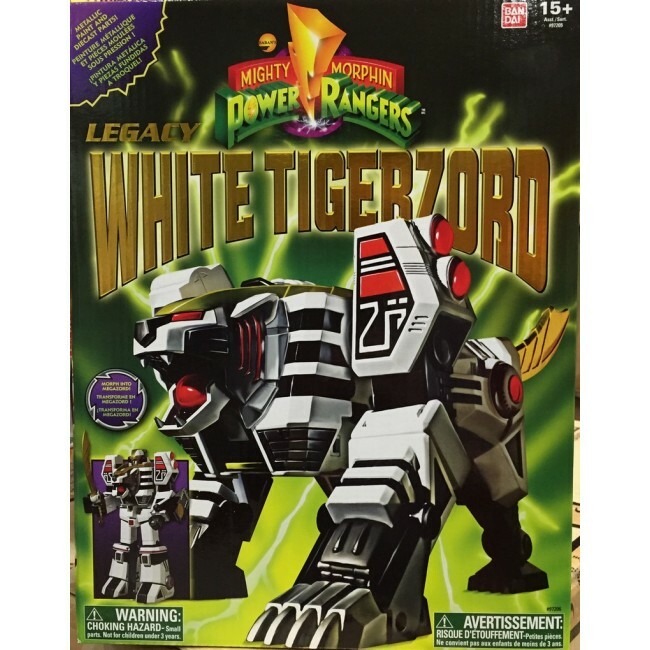 The classic Mighty Morphin Power Ranger White Tiger Zord can finally be part of your collection! 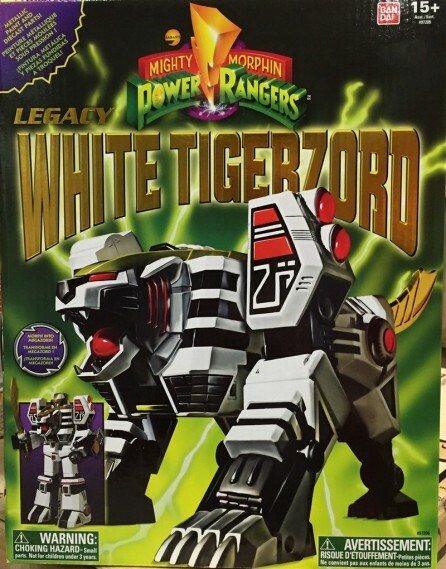 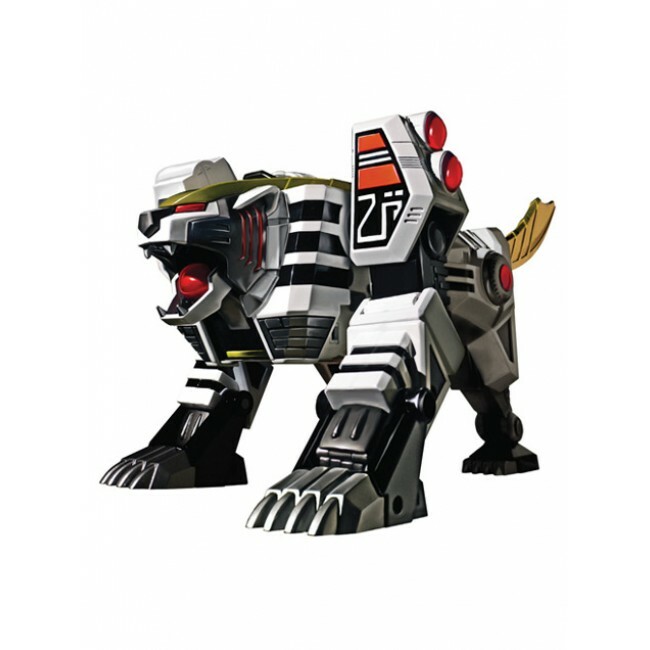 As part of the Legacy Megazord line, this White TigerZord features some die-cast parts and is able to morph with the Mighty Morphin Power Ranger Dragonoid (sold separately). 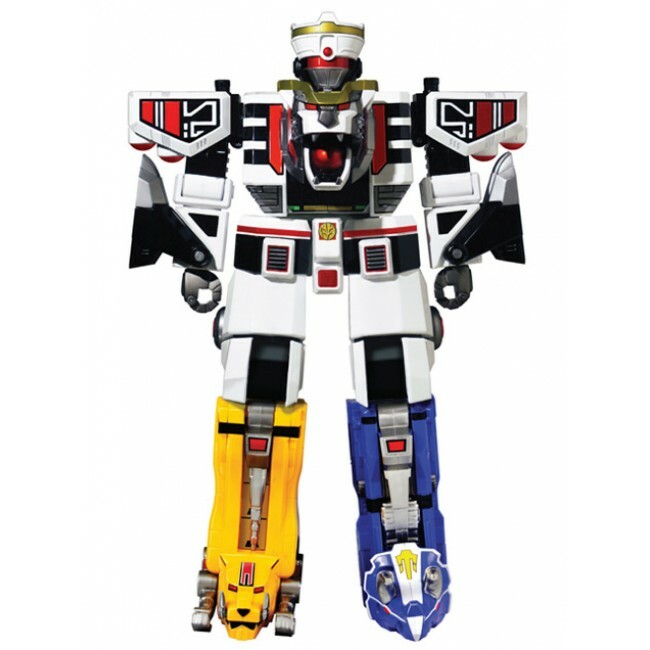 The White TigerZord can also combine with Zord Builder items. 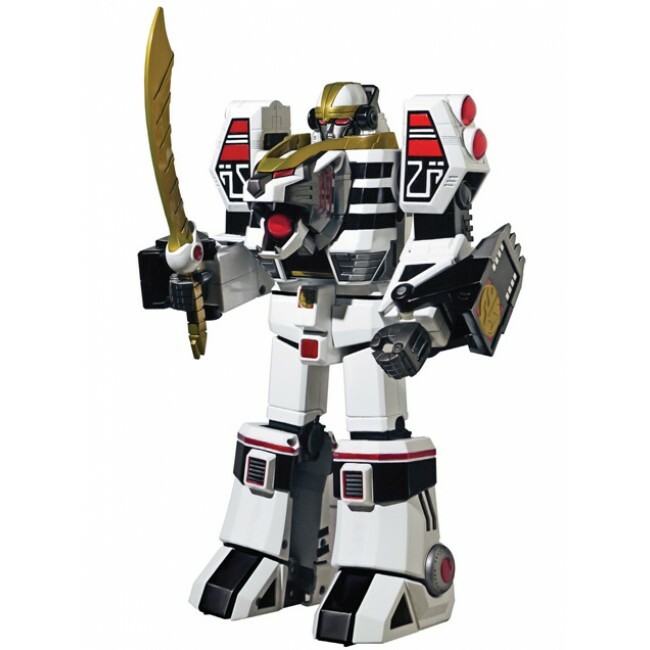 This plastic and die-cast White TigerZord action figure was the White Ranger’s first Zord and can transform from Tiger Mode to Warrior Mode.